The fall holiday season is an enormous opportunity for retailers to capture additional sales opportunities, as consumers love to decorate in special ways for this time of year. In fact, consumers in the U.S. alone spend around $6 billion in holiday décor during the last 3 months of the year! Over the years, Cypress Home has grown far beyond its original beginnings in tabletop to become a true and complete home décor brand. We work to curate our new products around key design trends that we see in the market. It’s important for retailers to present a complete look in their stores, for the best visual impact and to help drive multiple and repeat purchases. Our products help stores—from gift shops to garden centers—stock the top styles and looks that shoppers are looking for. Holiday Elegance is a stylish new collection for 2019. It’s full of rich reds, deep greens, as well as metallic accents. It’s built on the popular holiday icons of the poinsettia and holly, which perfectly carry the red and green look. One example is our poinsettia glass hand-painted LED décor. This collection also includes one of our new ceramic tabletop collections, which we call Holly and Bloom. 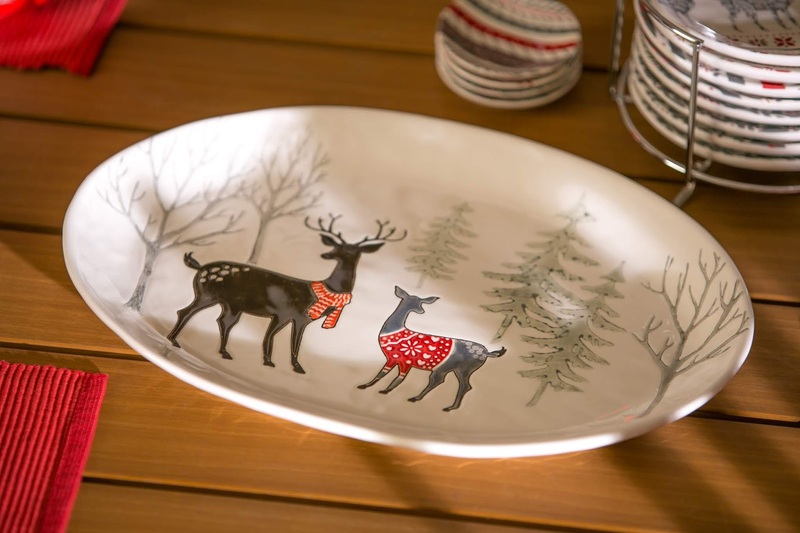 It uses an in-house watercolor poinsettia design that’s exclusive to Evergreen, along with gold rim accents. 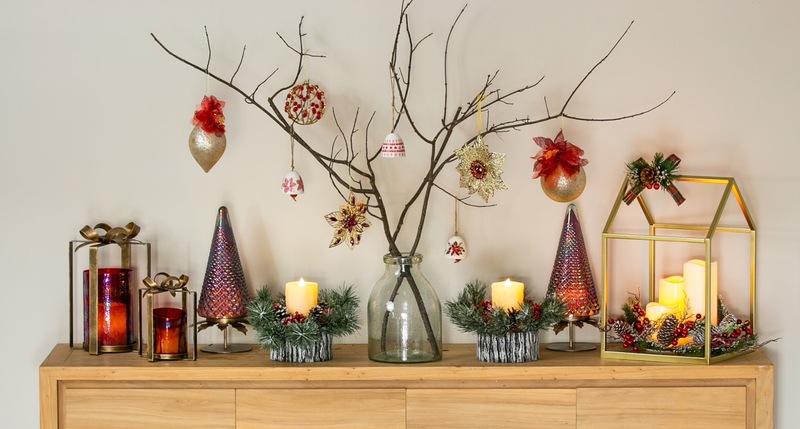 Our winter sled candle holder, with its colorful glass cylinders, is a great examples of this look. We’ve seen a lot of recent interest in Scandinavian design, which is all about simplicity, minimalism and functionality. Our collection creates a cozy and inviting blend of minimalist design and muted colors, along with wood textures. You see this in our new Scandinavian tabletop collection is made with a hand-made stamped technique and decal designs which are exclusive to Evergreen. 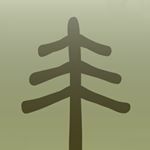 It focuses on red, white, and grey along with woodland influences. We incorporated winter scenes on our new etched wine glasses, and mixed in some natural wood materials with our new Santa wall décor and light-up advent calendar table décor. As a complement to the wintry look, our new tea light holders are made of porcelain, and they’re created with our rice grain technique, where the design is punched into the piece and then covered with a clear glaze. Holiday Magic is our largest new collection for Holiday 2019. It’s an update to our successful Christmas Traditions collection from last year, and our Holiday Classic trend the year before that. Here you see a widely-loved color palette along with well-known themes of the season, including the cardinal, which continues to be a top-selling Christmas icon. This collection is home to many of our new LED table décor, from our motion LED lanterns to our candles with rotating scenes inside. Another great example of our light-up product is our stunning 17” tall light-up snowman. Our Season’s Greetings wood sign can be hung on the wall or propped up, it includes clips all along the sides to hold your holiday cards, and it lights up! 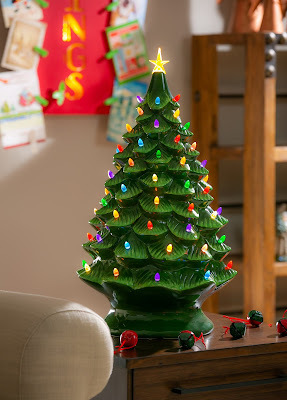 And don’t miss our 36-inch plug-in tree that includes 50 LED lights. We also have some fantastic additions in drinkware, like our new glass flutes that change color when based on temperature. Our new farm collection incorporates the simple, hand-crafted and repurposed look that’s been sweeping North America over the last few years. 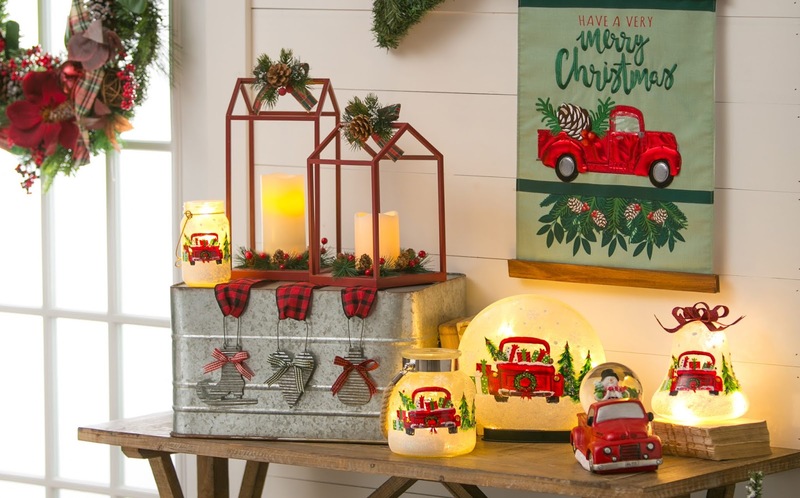 In addition to all the farm animals we included, this is also where you find then popular vintage red truck, like in our new glass LED table décor. Our wooden red truck advent calendar wall décor includes a little wreath that you move to count down to Christmas. And our new holiday horse artificial botanical décor is really unique and is expected to be a top seller. Here you also see an expansion on our top-selling gift set from spring-summer, the ceramic cup and sock set. Our Winter White collection highlights the glamour of the holiday season, with plenty of sparkle and shine. You see lots of frozen water elements, like snowflakes and icicles, as well as various metallic tones and glitter finishes. 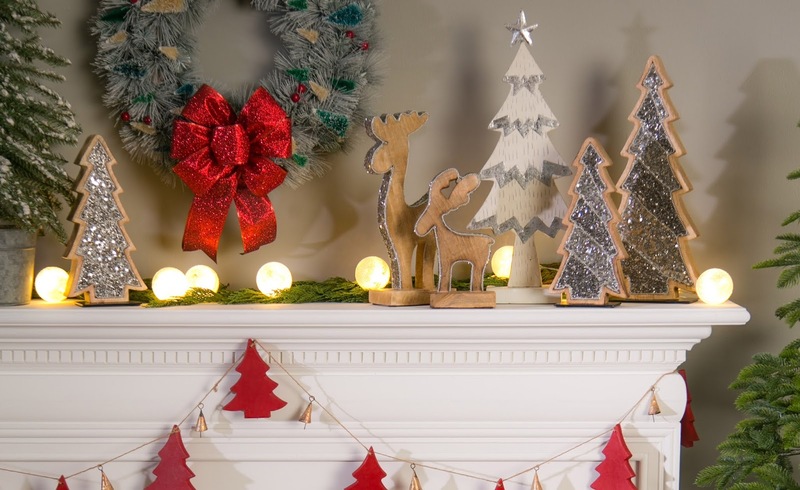 We have several new jeweled and light-up ornaments here in this collection that look fantastic together, and our new metal lantern candle holder includes silver glitter with the holiday motif. This collection is also where our religious items are grouped, like the new expansions in our popular LED glass table décor, our carved wood tabletop décor, and our amazing new motorized LED polystone winter church scene. Holiday Naturals is a trend that focuses on the beauty of greenery and florals, along with neutral tones. You see this showcased perfectly in our new Wild Harmony tabletop collection, which also includes the pheasant feather in the artwork. 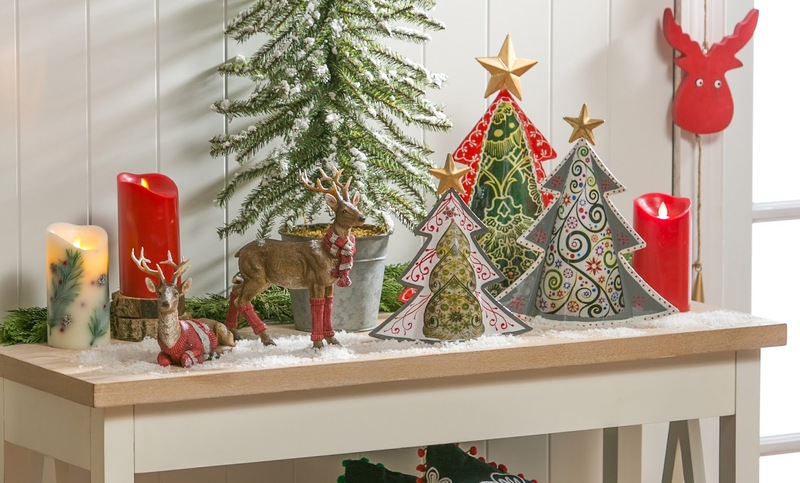 This is a perfect entertaining collection for winter or for fall, with an ideal, on-trend color palette and in-house artwork that’s once again exclusive to Evergreen. 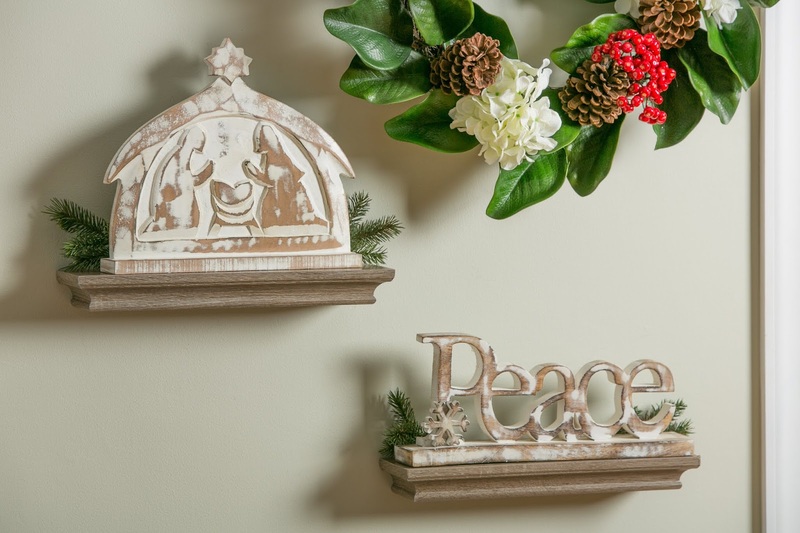 We also include some great wall décor options in this collection, like our natural vine reindeer which is really impressive in person, and our exclusive-to-Evergreen snowman wood wall décor. Another great sales opportunity for retailers is our assortment of ceramic trinket dishes, each with a gold rim and a beautiful reactive glaze finish. In preparing for the Christmas holiday season, don’t forget about harvest celebrations, like Thanksgiving. In our new Harvest collection, you’ll see all the classic icons for the season. Pumpkins are one of the most popular trends for fall, and our set of 3 tabletop décor pumpkins makes a great starting point for retailers. We made sure to include lit items, like our LED ceramic pumpkins. 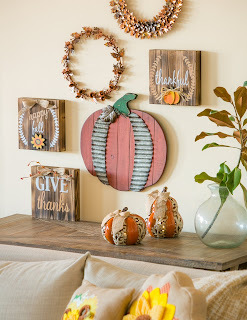 And we bring together multiple materials here, from wood to galvanized metal in our pumpkin wall décor. Owls are another key trend in harvest décor, and you see that here in our vine owl wall décor. Finally, our light-up harvest welcome wreath includes beautiful sunflowers, which is another focus of our harvest collection. We're a leading vertically-integrated manufacturer and distributor of decorative flags, home furnishings, garden décor, licensed sports product, and fashion accessories. We support thousands of retail establishments worldwide.